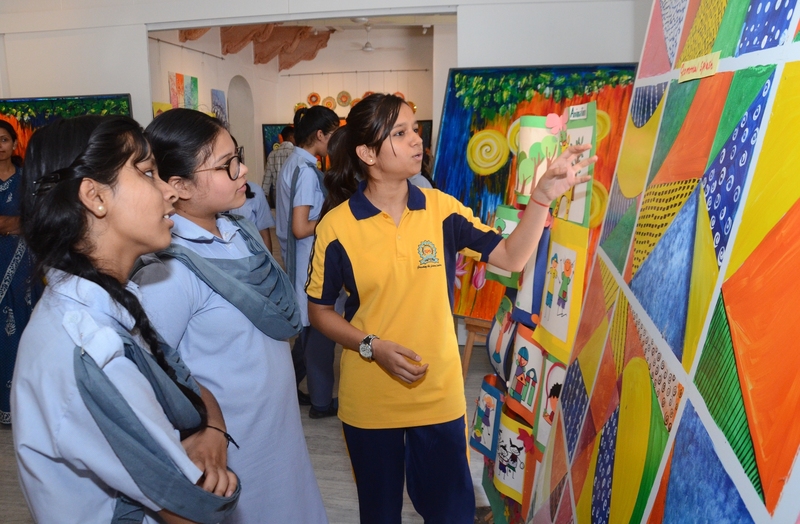 Jawahar Kala Kendra (JKK) presented an eclectic array of mellifluous music and rhythmic dance performances by as many as 80 participants of the ‘Junior Summer Programme’ yesterday. 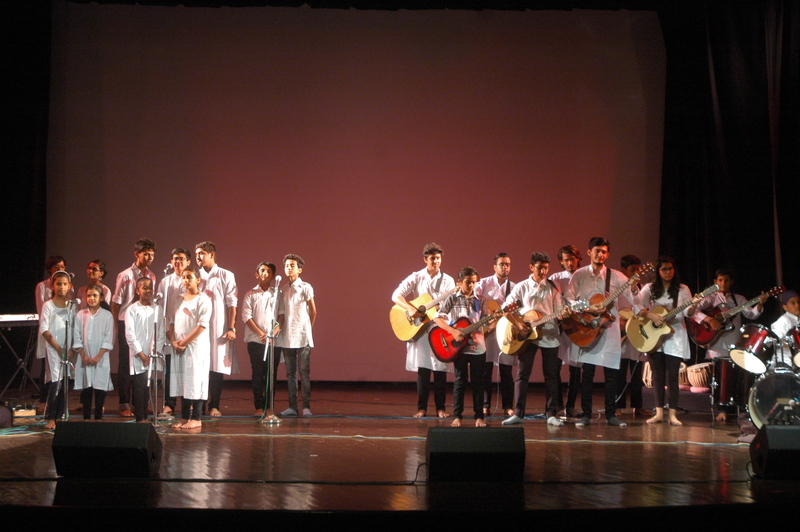 A perfect blend of vocals and instrumentals, the newly-formed JKK band also made their debut performance on the occasion. The evening began with several home production songs by JKK – ‘500 Miles’, ‘Ekla Cholo Re’, ‘Piya Se Naina’, ‘Kitabe Karti Hai Baatein’, among others. These musical pieces were a part of the debut musical performance by the newly-formed JKK Band. The 16-member band played tunes on instruments like Drums, Tabla, Khartal, Guitar, Keyboard and also had Vocal support. It is to be recalled that the JKK band comprises of students from the ‘Junior Summer Programme’. Auditions were held to shortlist the children and train them for the band. The evening concluded with two contemporary dance performances by the participants of the ‘Creative Moments’ workshop conducted by Attakkalari Dance Company. The children presented contemporary fusion, freestyle and martial arts (Kalaripaiyuttu) forms of choreography. Beats of Kathak and Bharatnatyam were also fused into the performances. The students were divided into two groups and instructed by field experts –Aarthy AR, Anindita Ghosh, Parth Bharadwaj and Akhil Zain. Today there will be a percussions performance by the JKK Band as well as a contemporary dance performance by the students of the ‘Creative Moments Workshop’ conducted by the Attakakalari Dance Company.